HomeWCJB is expanding its early-evening newscasts to 5:00 p.m.
WCJB is expanding its early-evening newscasts to 5:00 p.m.
FIRST ON THE BLOG: WCJB has been known for long-time as having the ONLY fully-functional and fully-staffed news department in Gainesville, the home of the University of Florida (where I’ll be studying starting in 2017 for mass communications / journalism) and therefore, winning every single newscast. 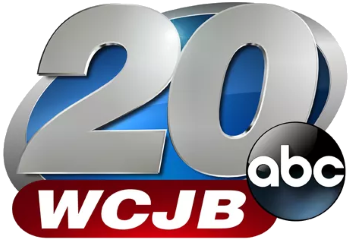 Now, WCJB will expand to offer more Gainesville-centric news. The newscast will be competing against WOGX 51 (FOX)’s FOX 51 News at 5:00 (which in reality is a simulcast of WOFL 35 (FOX) in Orlando’s FOX 35 News at 5:00), but it will become the ONLY Gainesville-focused newscast on at that timeslot in the market. Expect either Paige Beck and/or David Snyder (two long-time WCJB 20 veterans) to anchor the new hour-long newscast with the latest weather from AMS & NWA/Sealed Chief Meteorologist Bill Quinlan (another WCJB 20 veteran). So yes, more Gainesville news is coming and it will be on WCJB 20, the area’s #1-rated news station. ← WNCT will soon expand its weekday morning news while its already expanded its Saturday morning news. Its taken WCJB 50,000 eons or forever in a day for them to get a 5:00pm newscast or 90 minutes local evening news block since most TV stations in the Eastern Time Zone have their local evening news blocks 90 minutes run from 5:00pm to 6:30pm.